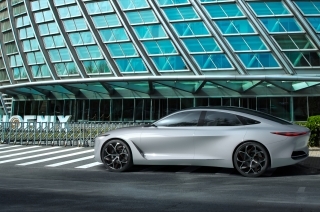 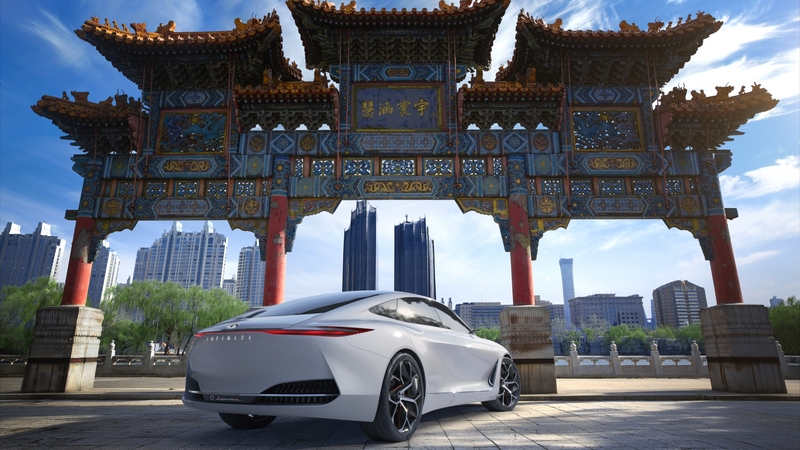 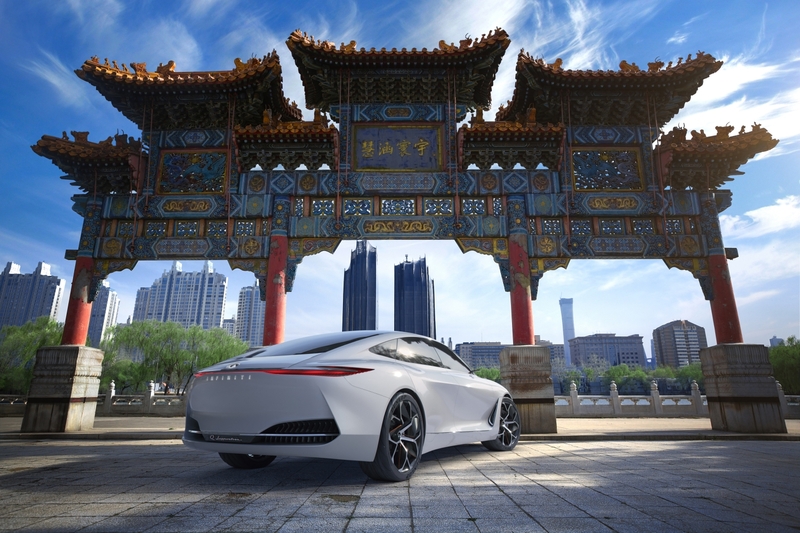 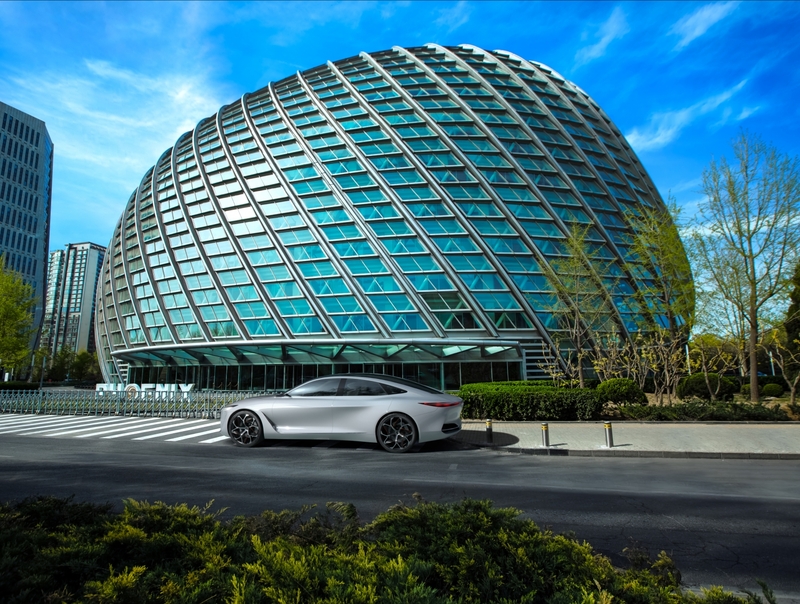 BEIJING – INFINITI Motor Company today announced it is developing an all-new electrified vehicle platform influenced by the stunning Q Inspiration concept car. 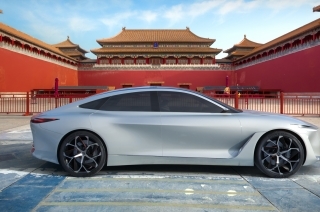 INFINITI will produce an electrified vehicle on this platform, one of five new vehicles it will build in China over the next five years. INFINITI Chairman and Global President Roland Krueger made the announcement today at a special Auto China preview event at the INFINITI Brand Experience Center in Beijing. 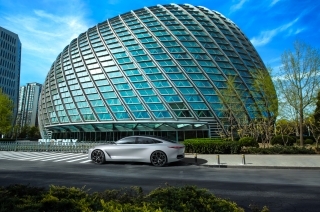 According to Roland Krueger, INFINITI is developing a new platform for electrified vehicles inspired by the Q Inspiration concept car, which implements the new design language for the age of autonomy and electrification, showing a very sporty, performance-oriented electric concept, with a much bigger interior space. 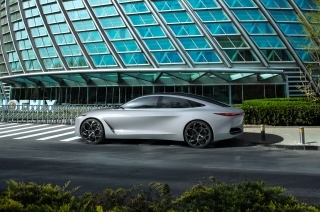 Representing the next step in INFINITI design, the exterior of the Q Inspiration features clear and concise lines with dynamic and confident proportions. 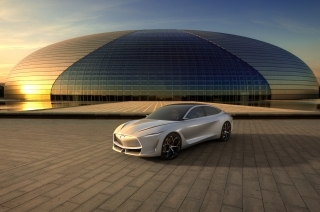 It is the first manifestation of INFINITI’s new form language for an era of advanced powertrains. 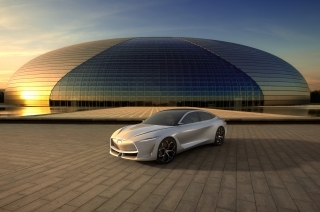 The concept eschews classical sedan forms with its coupe-like appearance and elongated silhouette, presenting INFINITI’s design vision for vehicles in this segment. 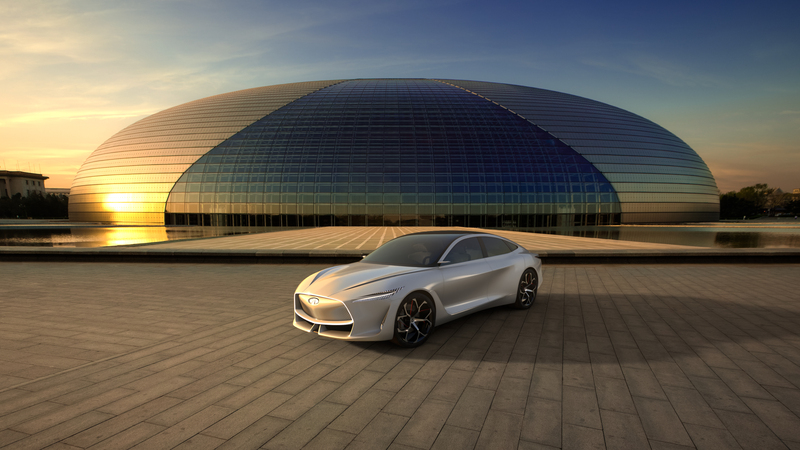 According to Karim Habib, INFINITI Executive Design Director, the Q Inspiration concept car takes the traditional sedan architecture to its next stage of evolution. 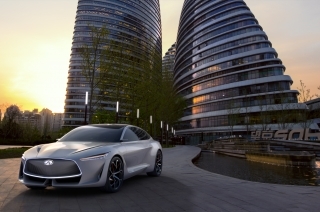 A shift towards smarter, more compact and less intrusive powertrains. 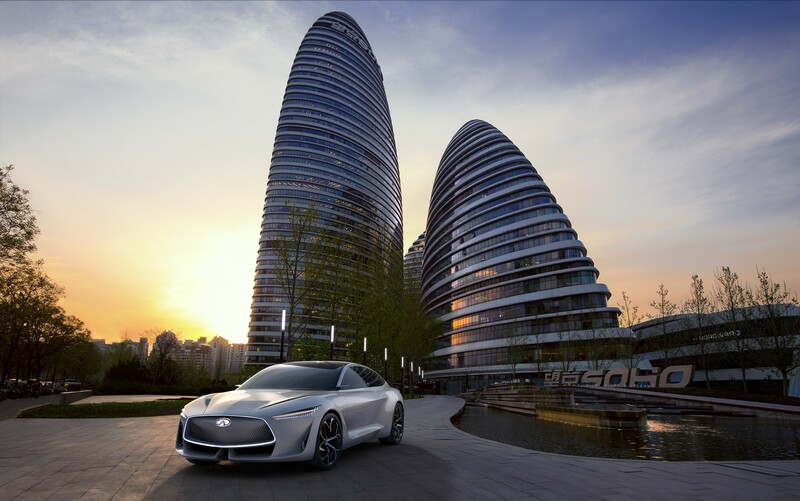 With its long cabin, balanced proportions and muscular stance, the concept heralds in a new era for INFINITI models. 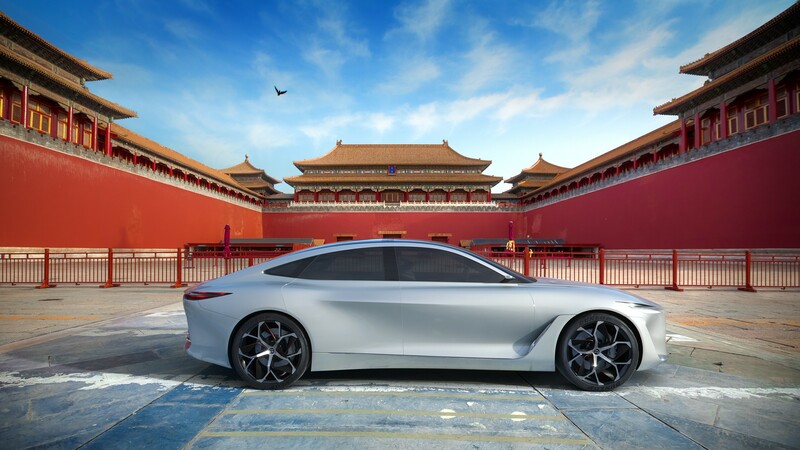 The Q Inspiration cabin follows a minimalist approach, with a concise and clean interior design enveloping the driver and passengers in a serene and comfortable environment. 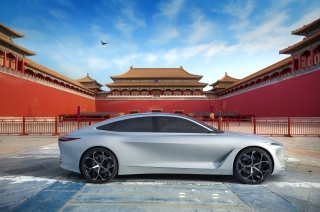 Adevanced powertrains have liberated INFINITI’s designers from the constraints of traditional powertrain architecture to realize a spacious interior. 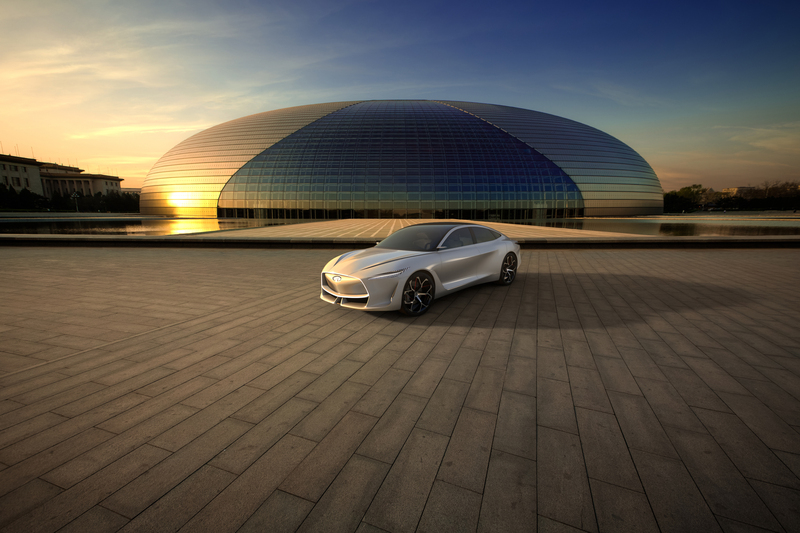 Modern technology and craftsmanship merge inside the cabin, presented in a way that enables, rather than distracts, the driver. 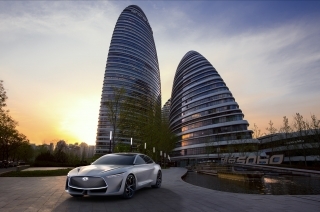 INFINITI is also reconfirming the company’s commitment to electrification. 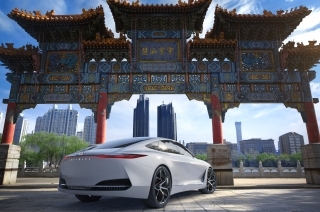 For Chinese car-buyers, this translates into vehicles with increased performance and fuel economy with reduced emissions. 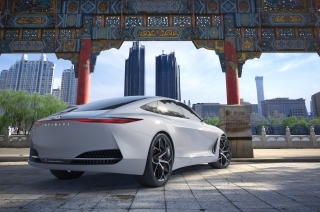 INFINITI also highlighted its handsome Prototype 9 e-roadster, a hand-crafted, elegant concept evoking a vintage 1940s grand prix race car while also boasting a prototype electric motor and battery from Nissan Motor Corporation’s Advanced Powertrain department.